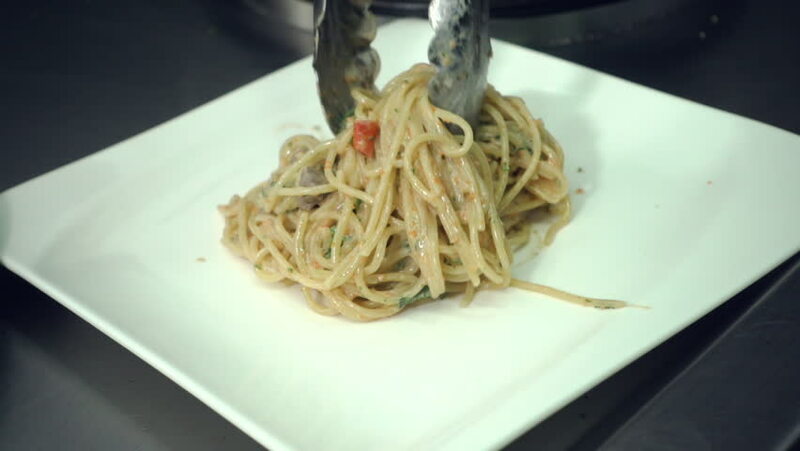 Slow motion - Chef cook preparing spaghetti on a kitchen. 4k00:12Stir-fried Shimeji mushroom with oyster sauce. Thai, Japanese delicious meal food and vegetarian healthy. Cooking in hot black frying pan on white background. food and healthy concept. hd00:11Close slow motion shot of a man’s hands opening a plastic carton of takeaway / takeout Singapore-style fried noodles on a plate, then stirring the compacted food with a fork.